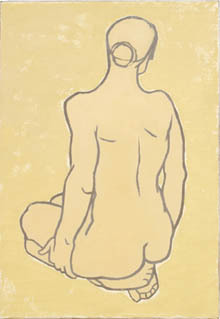 Drawing Pencil Sketches Often Prepares Artists for Paintings. Drawing Pencil Sketches - Preparation for Detailed Paintings or Drawings? 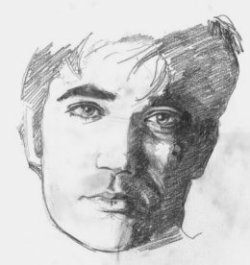 Do you enjoy drawing pencil sketches? Sketching is something that most of us do frequently in order to illustrate or explain a point, to give directions or to try out ideas. Drawing is visual communication, which cuts across language and cultural barriers in an instant. 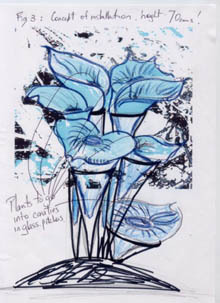 Often sketches are undertaken as preparation for paintings or drawings of flowers, human figure drawings, perspective drawings - even sculptures - or to establish the composition of a work or experiment with line and texture. 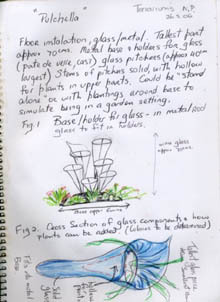 Judith Bohm-Parr uses detailed sketches to explain a commission concept to a client. 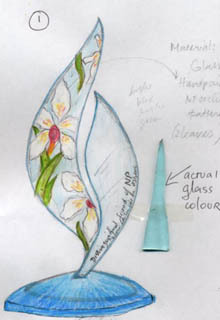 Most artists will use quick pencil sketches when they are exploring concepts or planning compositions for future two or three dimensional works. For an overview of principles of design when planning and executing an artwork in any medium, click here . 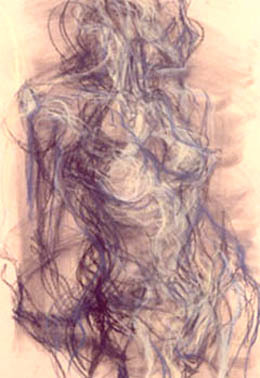 But although pencil sketches may be preparation of some sort they are also a well regarded art form in their own right. An artist who can capture the essence of a subject with just a few well-placed lines has my utmost respect and admiration. Mary Ann Runciman often draws and paints boats at the Marina in Port Douglas. Line is important, of course, but so is tone. Various types of hard or soft pencils may be used to indicate form as well as stumps (or a finger!) for blending or soft pencil erasers for highlighting areas that receive maximum light. Although drawing pencil sketches is a good way to begin, drawings may be made with anything at all and on any surface. 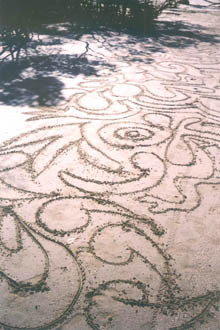 Cave drawings or sand drawings spring to mind, along with metal etchings, lino cuts, even stitches on fabric. I am sure that you can think of many more examples. 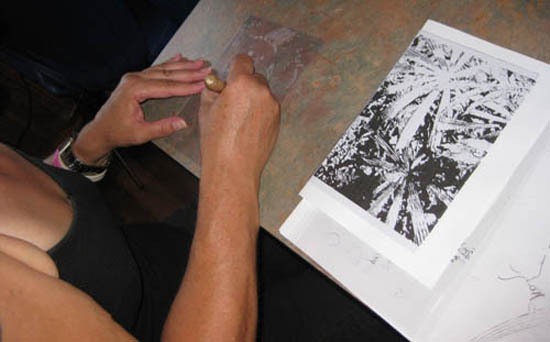 A student draws with an engraving tool into perspex to make an etching of palm leaves. Long, long ago (I was going to say ‘in the days when it was thought that the world was flat’, but that would be a little too great an exaggeration) I studied art and art teaching in Perth, Western Australia. 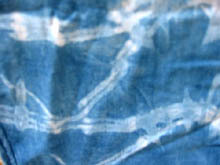 The classes were held in the evenings and most students had already done a full day’s work teaching. But because we loved drawing, painting, art history, sculpture and the like (even a subject called ‘pedagogics’!) the time would fly. The sessions were highly disciplined and most drawing classes consisted of drawing pencil sketches on paper, examining and drawing from plaster casts of the human figure - learning how to draw faces, how to draw hands, legs and feet from various angles. I must admit that the repetition in these classes was sometimes a little tedious – but we learned! There was a real skeleton with rattling bones, from which we also learned the basics of human anatomy and proportion in preparation for our graduation to human figure drawings from a live model. Fashion drawing allowed us the liberty of elongating normal proportions of the human figure to achieve elegance and thus display clothing to best advantage. Weekends were the time for landscape sketches, for perspective drawing and watercolours of the many beautiful old buildings in Fremantle, for sketching the boats in the harbor and for developing intricate tree drawings of the island pines on the foreshore. It was also a time for drawing pencil sketches of the dashing, largely Italian, male migrants enjoying coffee (and attention!) at the cosmopolitan cafes which had sprung up in the old port. These days it seems that many drawing classes, certainly hobby ones, start off with life drawing – drawing from a live model. I am sure that soft flesh and naked bodies that can move are far more interesting than hard old, immovable white plaster casts and creepy skeletons. 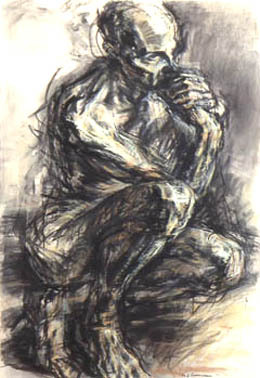 Mary Ann Runciman explores her subjects with energy and passion, using charcoal and ink. But, as far as learning drawing techniques is concerned, I would back a method that teaches the basics of anatomy and proportion through drawing pencil sketches, in a scientific and disciplined way, over a more liberal and haphazard approach. However, if one wishes to become accomplished at drawing, as with learning to play a musical instrument, practice is essential. I still enjoy drawing but mostly my pencil sketches are ideas, which I then complete with paint or dyes. I don’t think that my drawing skills are what they used to be – or maybe it is that the discipline has flown out the window and I just want to enjoy playing around? One talented and disciplined person who has taught herself to sketch and draw is Kerry Godsall. Kerry has developed a drawing website which attracts many thousands of visitors every day. Imagine that! Kerry is also very good at communicating her drawing methods, which she has developed especially for the beginner. So if that is you, read on! If you are motivated to go beyond developing your sketching skills you my like to investigate Sarah Parks' sound Drawing Secrets Revealed twelve week course. 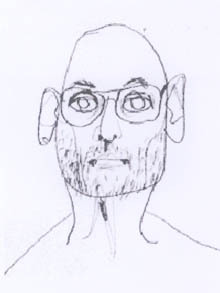 Jim Olsson Self portrait; simple pencil lines capture a likeness.